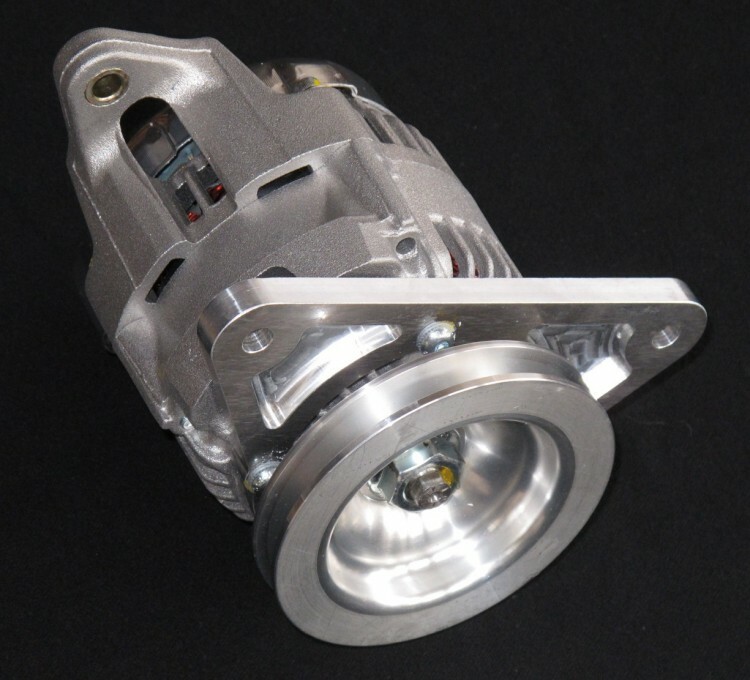 If your car is fitted with an ageing Lucas ACR style alternator and you are looking for the ultimate in performance and reliability for your charging system then look no further. 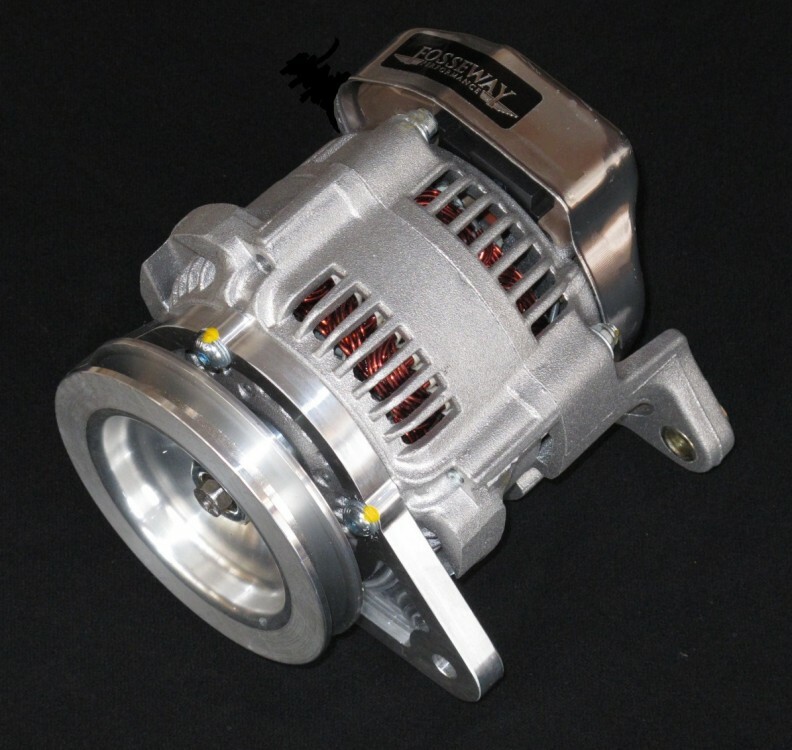 Our 65 amp race alternator kit is designed to replace the ACR unit and features a genuine new Denso alternator. The unit is internally cooled and regulated which gives a clean and uncluttered appearance. The machined billet support bracket adds to the ‘race look’ and is reversible to allow left or right hand mounting. The kit is supplied complete with the correct pulley for your application (please contact us to discuss your requirements), wiring harness and detailed installation instructions.